1BD/1BA Comfortable Loft on the 7th Floor in Downtown Colorado Springs. 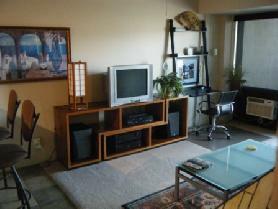 Wow, an exciting 1 bedroom loft in the heart of Colorado Springs. Upscale lliving with a full fitness center, sauna and out side hot tub. Loft is on the 7th floor with a 12×36 west facing balcony. Kitchen features granite counters . This home is close to Ft.Carson , businesses and night life. You can have it ALL. To view more photos, maps, and information about this lovely loft, please click here. 3BD/3BA Classy Corporate Home in North Colorado Springs. This impeccably decorated home is ready and waiting. There are three bedrooms (all with queen size beds) on two levels with three bathrooms; one has a large spa tub. A nicely appointed kitchen with stainless appliances and granite counter tops opens to a beautiful dining room. Two gas fireplaces, two car garage, and a top end security system are included. A loft office overlooks the living room. This home is pet friendly with easy to clean tile floors on the main level and a fenced back yard. The home is located in a quiet neighborhood on the northeast side of town. 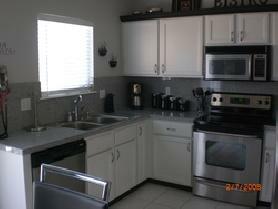 Close to shopping, main corridors, Sky Sox Stadium and Peterson Air Force base. To view more photos, maps, and information, please click here. To view all of AvenueWest Colorado Springs’ fully furnished, all-inclusive condos, lofts, houses, and town homes, please visit http://ColoradoSprings.AvenueWest.com. Give us a call directly 719-442-4337 or email us at ColoradoSprings@avenuewest.com so our Leasing Agent can find the perfect home for you and your family.